Chevy Caprice General and Technical discussion for the Chevy Caprice (1965-1996), which shares the B-Body platform with the Chevy Impala. I was curious if anyone had opinions on changing exterior colour schemes or interior schemes slightly to enhance ones car. In my case my car came in triple white (exterior, interior and top). White to me was always a little blasé. 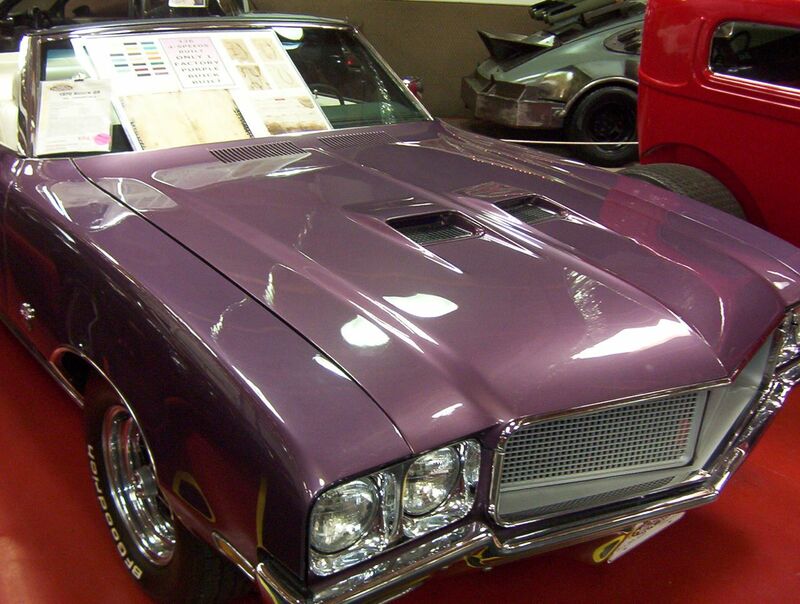 A long while ago I was at Volo Auto Museum where there's usually around 300 cars for sale. 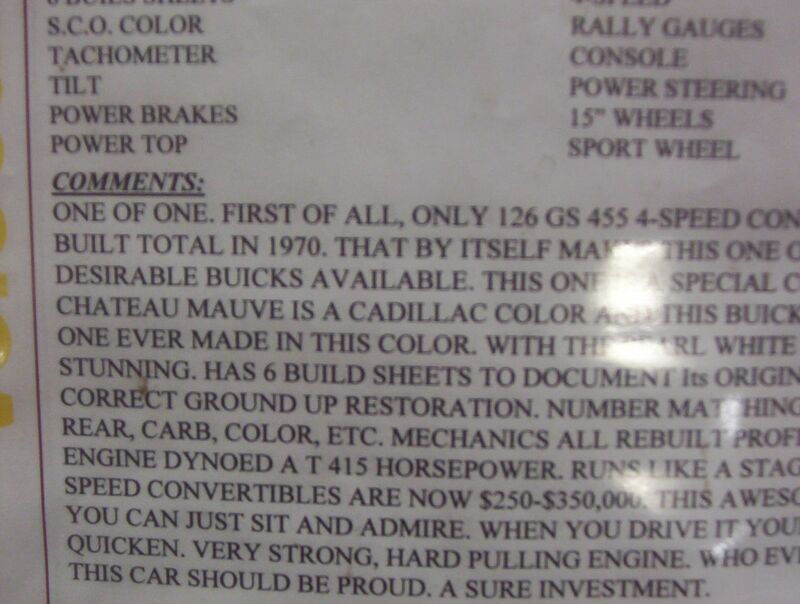 I came across other early to mid 70's A and B body GM's. Two of these were convertibles similar to mine. Big convertibles need some colour I think. 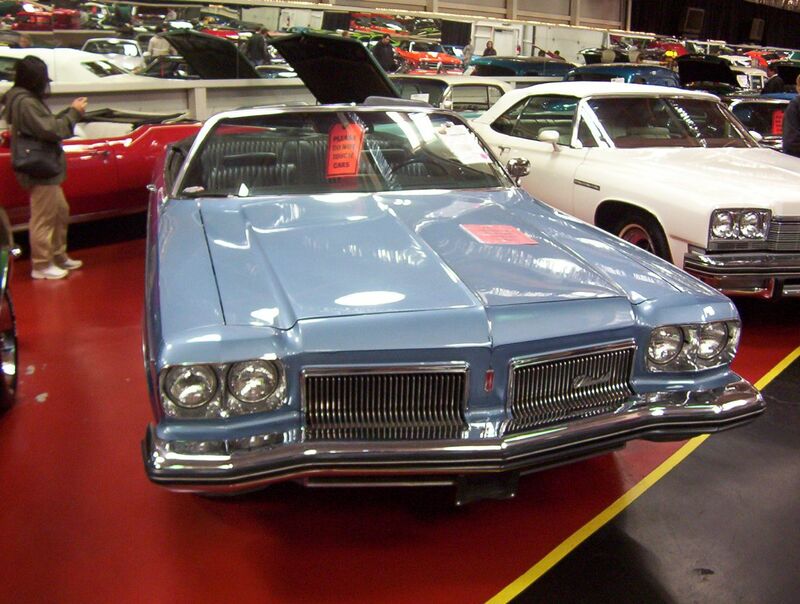 The white Buick in the back ground is a bit boring compared to the blue Oldsmobile. 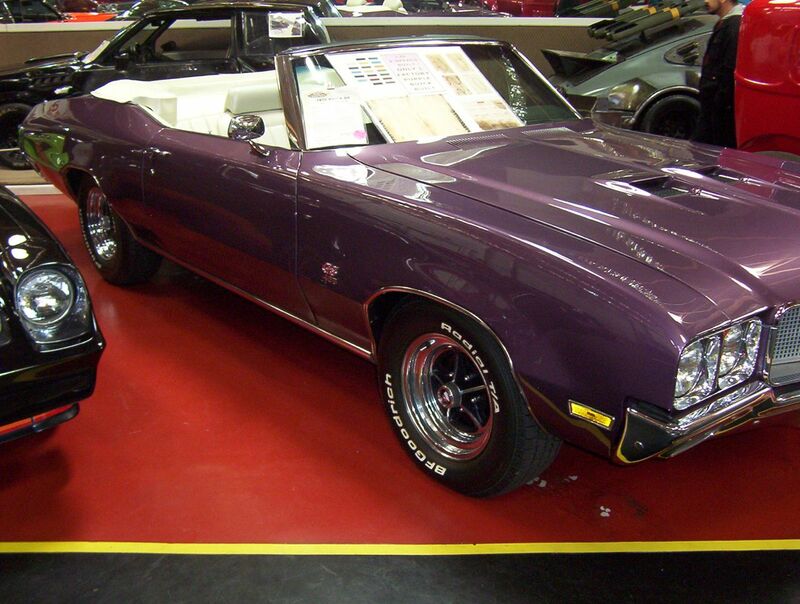 However when I saw this one off Buick GS convertible, I was drawn to this colour, which is actually a Cadillac colour. 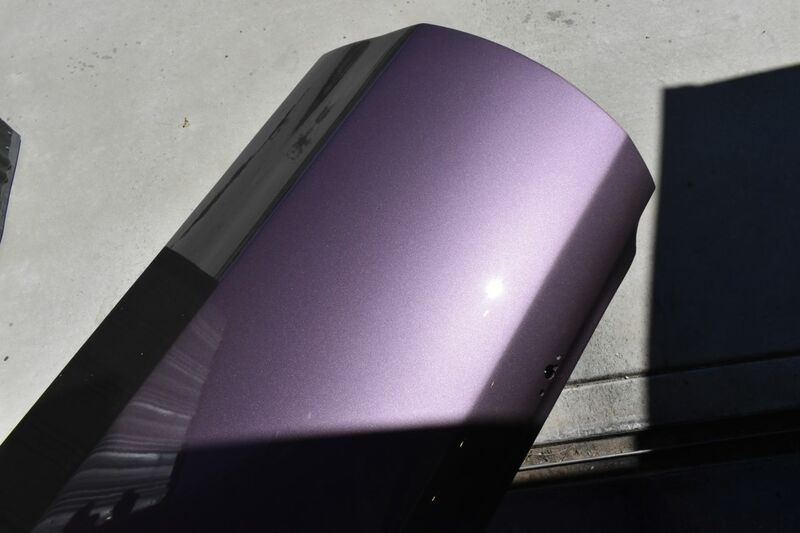 I'd like to copy this colour scheme (Chateau Mauve exterior/bright white interior). With that I ventured down to the Napa paint store. Well they didn't have that obscure paint colour on file. 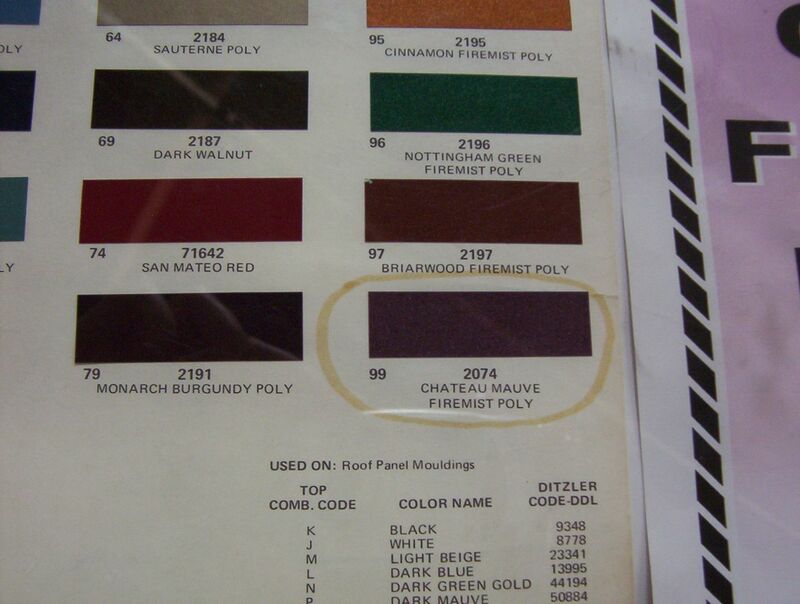 I bought a spray can of Chateau Mauve online (very expensive) for them to match. Well the actual Cadillac colour looks good in the medium light, however in bright sunlight it's almost pure blinding silver in appearance. Napa tried to match it but through a serendipitous happenstance they didn't hit the colour exactly, but their mistake was actually an improvement in my eyes. Whilst the Napa colour is bright in sunlight, there are blacks, greens and dark red metallics in the paint so it isn't so blinding as the original Cadillac colour is. I had thought about that on the long expanse that's my engine hood. I think I can brighten up my interior a bit to a brighter shade of white. 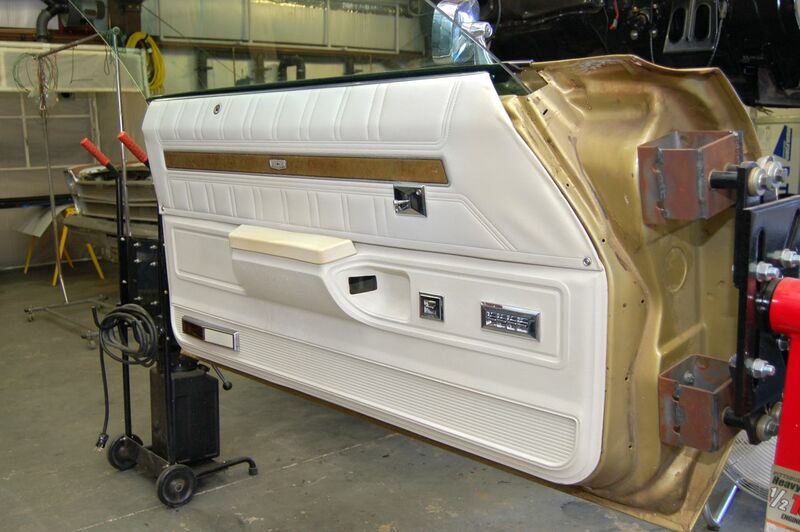 I want to add power windows and locks to my ol girl as well as festoon the door cards/panels with carpeting on the bottom section and add an Oldsmobile door courtesy lamp as it's pretty dark in the car with just the Chevrolet kick panel interior lamps. Here's what I have so far for the drivers door. Curious to see what you think. My Caprice Classic came with just manual window winders. 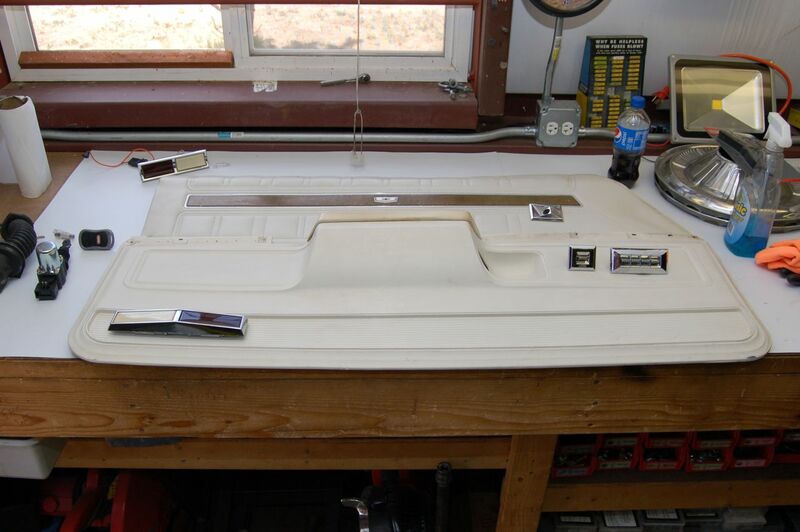 With that I bought the repopped power window switch set and door lock switches and carefully cut the holes. I plan to back light these for a nice look. Actually the single switches are done, need to make the backlight socket housing and PCB's for the quad switch. They do look really neat lit up. 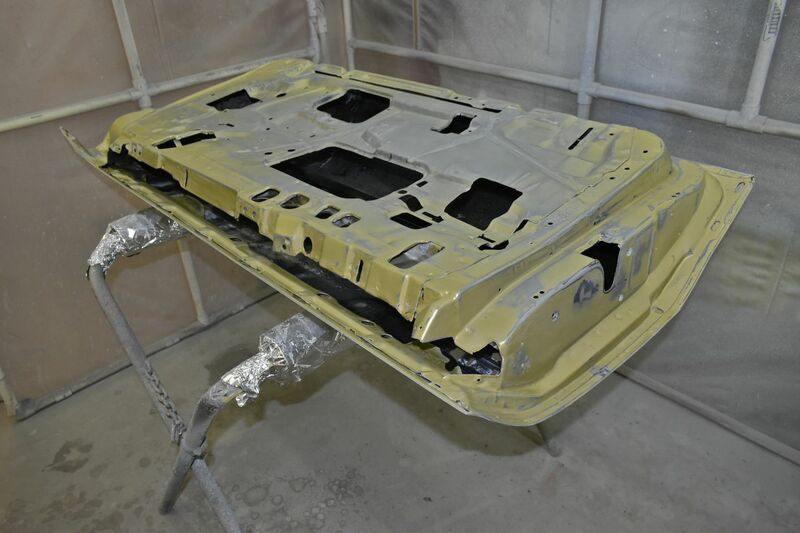 Here's the replacement drivers door shell. 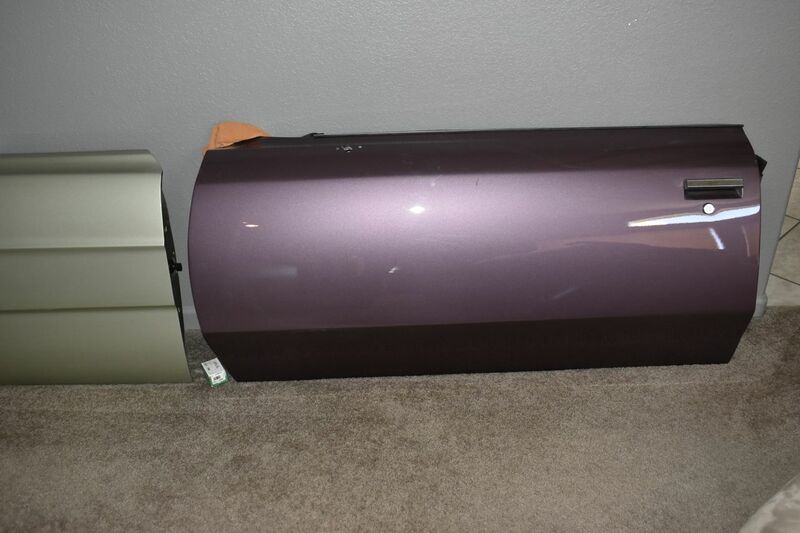 I bought a drivers and passenger door from Texas. These are pretty solid doors with just a few dings. My doors are so rusty they are not worth fixing. 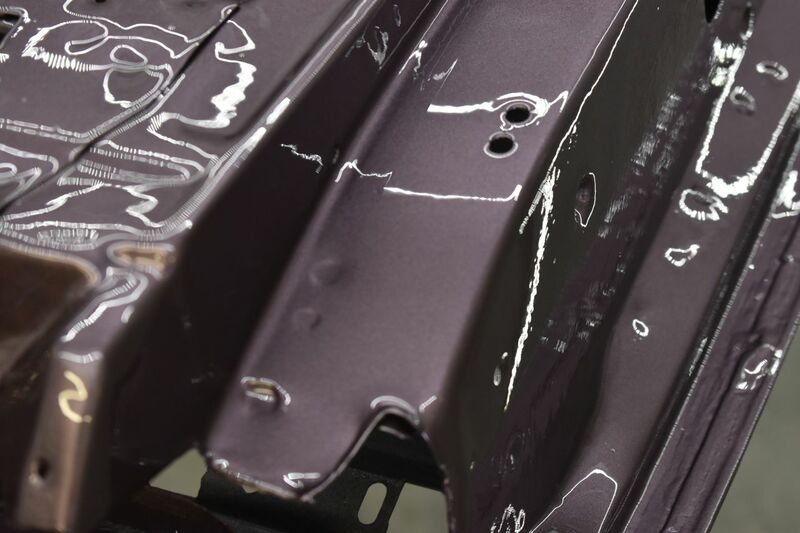 A good car chum taught me how to do bodywork as he paints cars for a living. He showed me how to speed up the process, what good materials to buy and of course paint. Here the front of the door is ready for paint, just prepping the inside of the door for paint. What he taught me was invaluable. 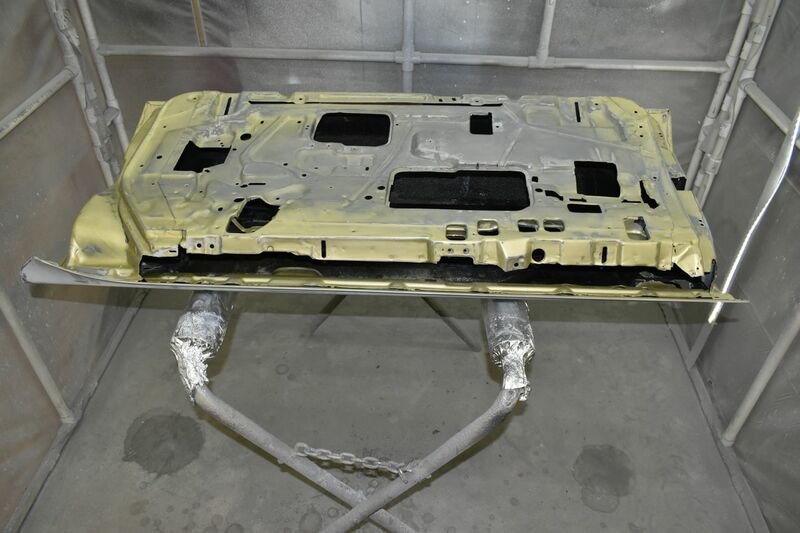 The inside area including all seams are cleaned and painted with POR 15 first. 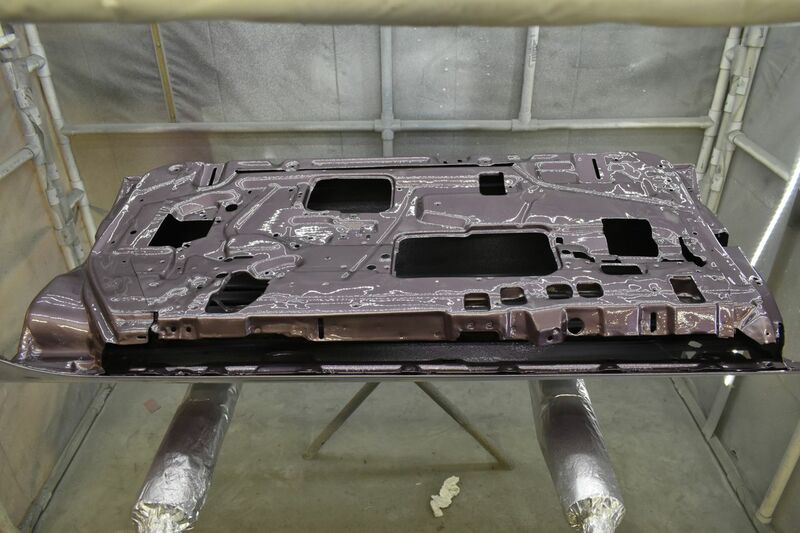 There's the new colour on the inside portion. 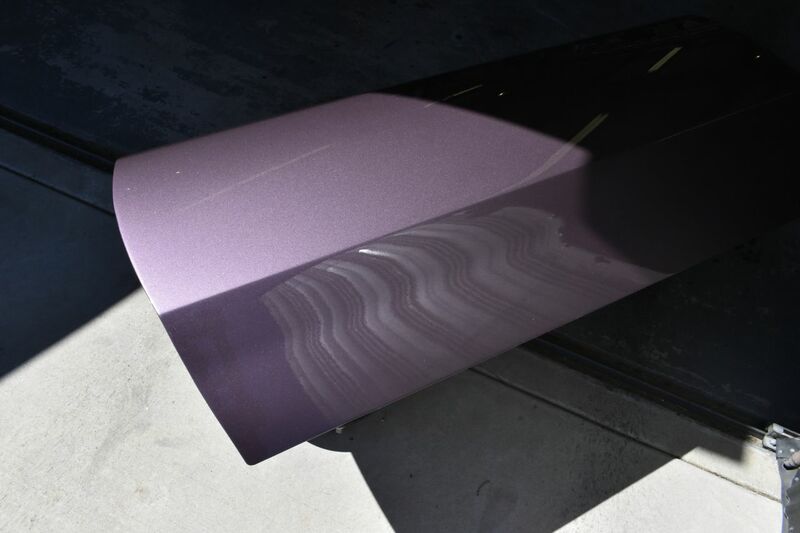 Might be the shiniest part on the car. Here's what the exterior looks like in bright sunlight. I do love this improved Cadillac colour. Medium light conditions with a flash. 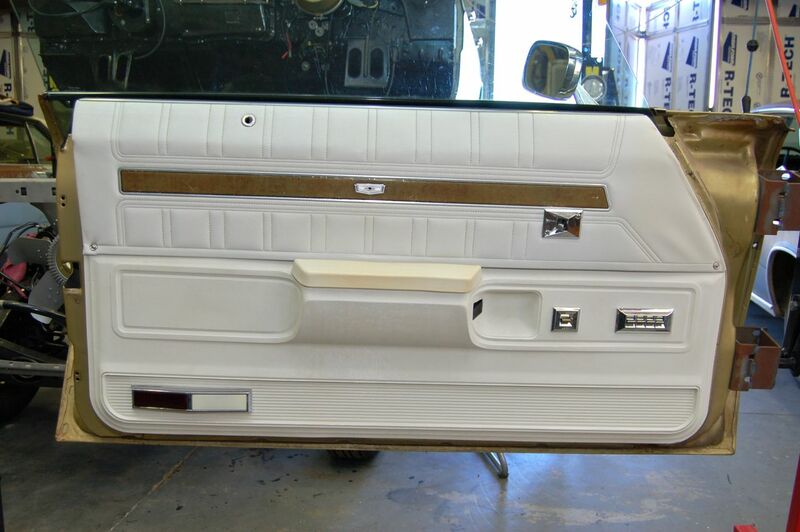 I still need to refurbish the lower door trim and install it. I am doing away with the side trim on the car as with the convertible roof line I don't think it needs it. Thanks for taking the time to have a read through. If you have thoughts I'd like to hear them. First thought is, I don't see any pictures at all. Can't have any more thoughts until that is resolved. Sent from my custom made computer with Gigabyte Z97X Gaming 5 MB, 4790k cpu, 16gb 2400 DDR3 ram, Nvidia GTX 960, 500gb Samsung SSD using a keyboard to type the response and a mouse to click the submit button. copy the link to this thread in IE and maybe tapatalk would see it. works for me on windows 10 with Internet Explorer. he's hosting his images on a local server and it seems chrome/firefox has a slight issue with that. he's aware of the issue from a previous thread. there are actually a lot of pics in this one. Just tried that on windows 10 in ms edge and it would not open the pics for me. I don't use tapatalk. I'm old and still use a Windows 10 computer. I usually use Edge as it works fine for me. I do have adguard installed on it and the pics don't show up. I opened the thread in IE and now I see them. Wow I can't wait to see the whole car now. Looks great! I had a look into an SSL certificate for the website the pictures are stowed. It's a substantial yearly amount to maintain the SSL. It's a shame because this is the only forum that will not show the pictures. I use two Ford forums and their servers download the HTTP pictures from my website then retransmit them in HTTPS along with the forums website. If this website would do that, then everyone would be able to see the pictures without hassle. I could just finish my website and just provide a link to the threads there all under HTTP only. That would be the easier thing to do I suppose. Did show up for me in ie. Nice work. Be sure to post back more as you go, but maybe upload them here if you can.